Note: Please mark decks as "Premium" if you use Premium cards in your deck builds. Thank you. If I left anything out or you see any errors please let me know. NGA: Formerly known as "Nebula"
Last edited by minddrifter on Sat Jul 12, 2014 5:23 pm, edited 4 times in total. Unlocked and ready for discussion! A typical white weenie deck. This deck is highly dependent of premiums to really shine, using cards like Squadron Hawk and Paragon of New Dawns. The former hasn't a good substitute, so I would consider 4 Adventuring Gear. The later is easily substituted for Inspired Charge. I have to wonder how good of an idea it is to rune 2 Hall of Triumph. Yeah, you increase your odds of drawing it, but drawing the second one becomes a dead draw unless your opponent destroys the first one. Does it not stack like Honor of the Pure or any of the other ones like that? Either way having 2 still wouldn't be all that bad. It will probably be fairly rare you would have 2 out at the same time regardless. Oh, lol, I didn't even notice (obviously). Still, I don't think it is a terrible idea to have 2, any more would not be good. I'm not saying only have one is bad either but 2 really will give you more of a chance to get one out on the field. Even in AG with 3 Honors it was only every once in a while I had 2 out instead of 1. Seems fairly legit, the only issue I'd be worried about is Ze Hall buffing your opponents white creatures as well. However, I'm glad the card only buffs your own. I don't think it's that dangerous to run both. At worst, it's a dead card eventually in your hand. At best,it increases your odds of running into one, or replacing a lost one. As far as deck construction goes, the only adjustments I'd make would be to swap out your Blows and singleton Charge for a combination of Willing or Reprisal, for adequate removal/ protection/ pushing damage through. Since it would cut your curve, you may even wish to risk going perhaps one land shorter, for another of the aforementioned spells. That's sort of dangerous, though and is up for personal judgment. 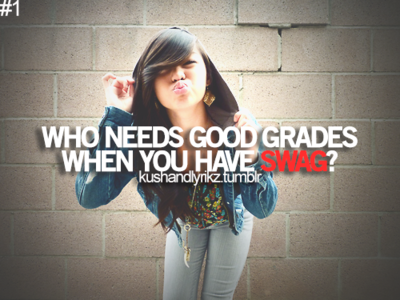 Who needs good grades when you got SWAG?!?! As Hall of Triumph enters the battlefield, choose a color. Creatures you control of the chosen color get +1/+1. Yes, gentlemen. I'm aware that my initial understanding of Hall was incorrect, which I state in my post. I believe we should shift your attention from that part of the post to the critique of the instants, instead? Arrest seems to be a common in DotP. Also Hall of Triumph is premium. White Weenie is an aggro strategy all about flooding the board with cheap, efficient creatures and attacking your way to victory. It plays some pretty good removal so blockers aren't too much of a problem. Apart from evasive fliers, White Weenie has very little reach so if you stall out, then you will likely lose. White has access to a lot of great creatures at all mana costs, especially at the low end. Paragon of New Dawns (Premium) ***** A bear plus an anthem stapled together at a fair price? Yes please. White spells focus on protection, global pump, and conditional removal of almost any permanent type. It's good to include a diverse selection of all these types of spells so you are able to respond effectively to your opponent. All the best premium cards for White Weenie jammed together. The global pump can get out of control and the Darksteel Axes are often key. Much weaker without the premium anthems, but it allows for Mentor of the Meek to be played for full benefit. Fragile auras replace the more stable equipment and the removal options are very constrained. An interesting version that will stretch the game out. Ajani's Pridemate can be a beating when it gets going. If aggressive goblins or RDW start to take over it might be a good option. Allows for the use of Angelic Accord which is a great card for fighting control. An option to take advantage of the convoke cards Triplicate Spirits and Seraph of the Masses. Loyal Pegasus is okay here as it's likely to have a buddy (or you can use it for convoke). The deck floods the board very fast with the right draw but is slow to do damage since you are tapping your creatures every turn. Plus, if you really want to do tokens then Selesnya is just better. Location: [loh-key-shuh n] n. A place of settlement, activity, or residence. A one vs. one deck for Magic 2015. Squadron Hawk and Elixir of Immortality are the crux of this deck. Hold back, kill things (strategically), chump lots and infinitely recur Squadron Hawks to peck them to death later on. As a rule, never play the fourth Hawk, then when the other three are dead you shuffle your graveyard into your deck and cast your fourth. Edit 1: Removed unnecessary information and deck stats. "Don't underestimate the aerodynamic qualities of the common goblin." Last edited by djAMPnz on Wed Nov 12, 2014 8:31 pm, edited 5 times in total. Key Omissions: Mentor of the Meek? That... is a really good point. I wonder how I overlooked him? Perhaps I will remove the Cartographers and add both Mentors and the fourth Righteous Blow. EDIT: Made the above changes to deck list, rearranged deck list to be in deck builder order and added the decks stats. ... Does surrisingly well against the ai, although I haven't gone into multiplayer yet. Still trying to finish unlocking Zendikar. Highlights include getting to 50+ life multiple games and winning turn 6 a couple of times. I'm running two mono-whites (non premium). 60 Cards. 37 non lands (22 creatures, 15 spells). 60 Cards. 38 nonlands (27 creatures, 11 spells). Probably worse than the combination with blue,red or green.